Valcambi's innovative, divisible bar format turned heads in the bullion market when the first 1g x 50 gold bar was released, giving investors an accessible and flexible option for managing their physical gold holdings. 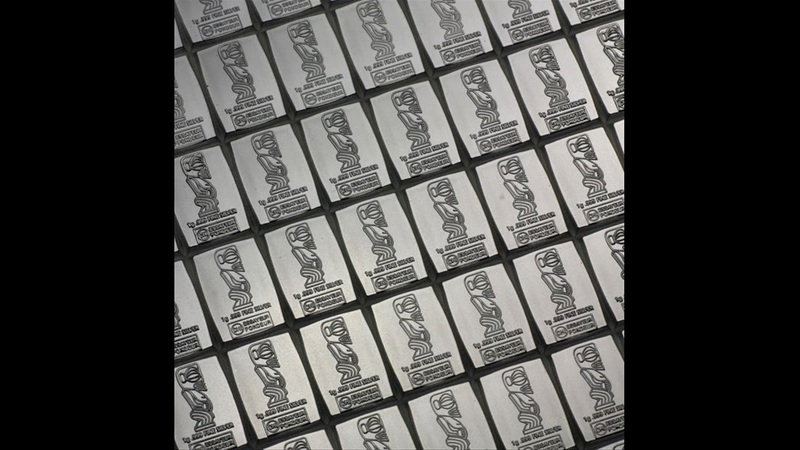 Valcambi's latest version of the CombiBar is the CombiCoin; the famous snap-apart bar made from pure silver and issued as legal tender of the Cook Islands. Legal tender status can offer significant benefits when transporting or trading. Classified by many tax authorities around the world as "currency" rather than "valuables", investors may have the option of declaring legal tender bullion products at face value rather than market (metal) value. In addition to extra privacy, legal tender status can reduce or eliminate liabilities for sales tax (VAT) in many jurisdictions - recognition that money is essential to travel and commerce. Breaking up the CombiCoin is a simple matter of bending the strips along their break lines until the weakened metal gives way and snaps apart. The predefined breaking points ensuring that there is no loss of metal. Located in Balerna, Switzerland, Valcambi is certified by the London Bullion Market Association as a Good Delivery Refiner and serves the LBMA's wholesale clients including banks, investment firms and governments across the globe.